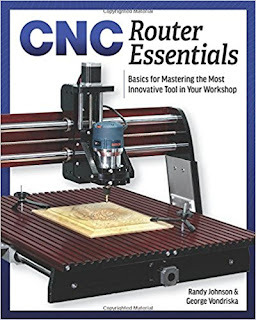 CNC Router Essentials will have woodworkers operating their CNC machines with skill and confidence. CNC machines are now easier to use, less expensive to purchase, and will greatly increase woodworking productivity in the shop. 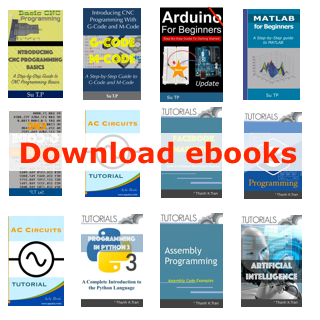 So, if you’re looking to buy one – or you already have but wish the user manual actually made sense -- then CNC Essentials is for you. Veteran woodworkers Randy Johnson, CNC teacher and previous Editor in Chief of American Woodworker , and George Vondriska of Fine Woodworking, WOOD, and the WoodWorkers Guild of America walk you effortlessly through each step in learning to use this game-changing woodworking machine. Project design essentials, toolpath basics, machine setup, bit selection, and more are all explained in an approachable and easy-to-understand format that will have any woodworker maximizing the full capacity of their CNC machine. Helpful practice projects in 2-D and 3-D will ensure that you’ve grasped the basics of this versatile tool, while a gallery will inspire you to create your own imaginative designs.